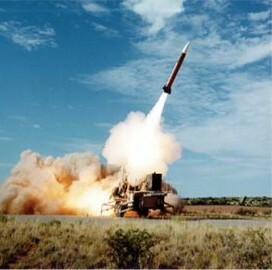 Lockheed Martin (NYSE: LMT) will provide Patriot Advanced Capability-3 and PAC-3 Missile Segment Enhancement interceptor missiles to the U.S. Army and five international customers under a $1.5 billion contract in support of missile defense upgrades. The company said Friday the contract covers the production and delivery of interceptors for the Army and foreign military sales of interceptors, spares and associated equipment to Qatar, Saudi Arabia, South Korea, Taiwan and the United Arab Emirates. Scott Arnold, vice president of PAC-3 programs at Lockheed, noted that the company anticipates continued demand for interceptor missiles amid the current threat environment. Lockheed said the PAC-3 system uses cruise missiles, tactical ballistic missiles and aircraft with hit-to-kill functions to provide missile defense capabilities.